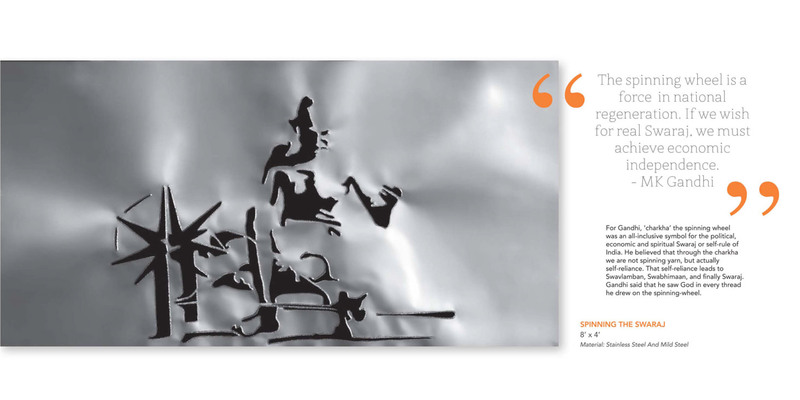 Vibhor Sogani was commissioned by the Governernment of India to create an exhibition for the national celebration of the 100th anniversary of Gandhi's homecoming from South Africa to India in 1915. 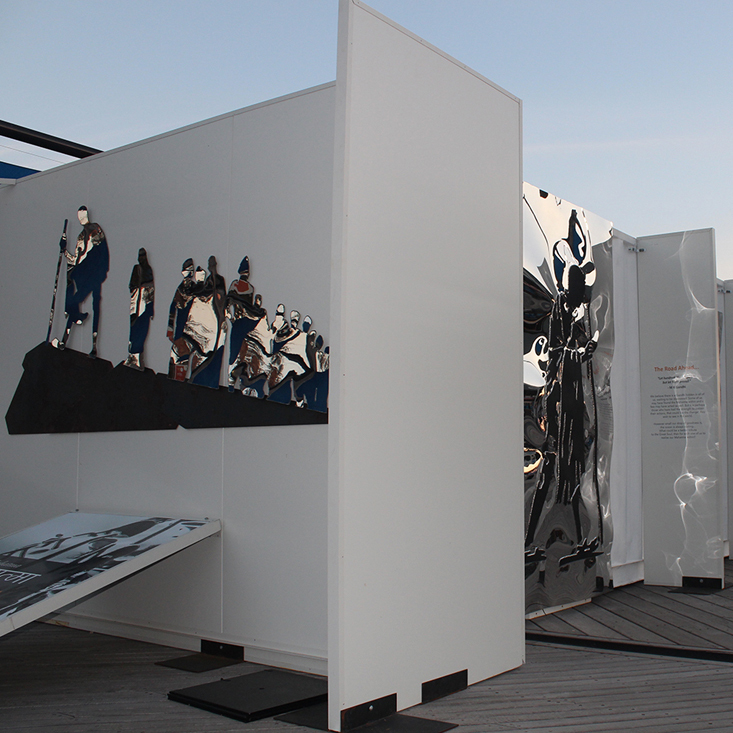 The exhibition went on tour in India throughout 2015. 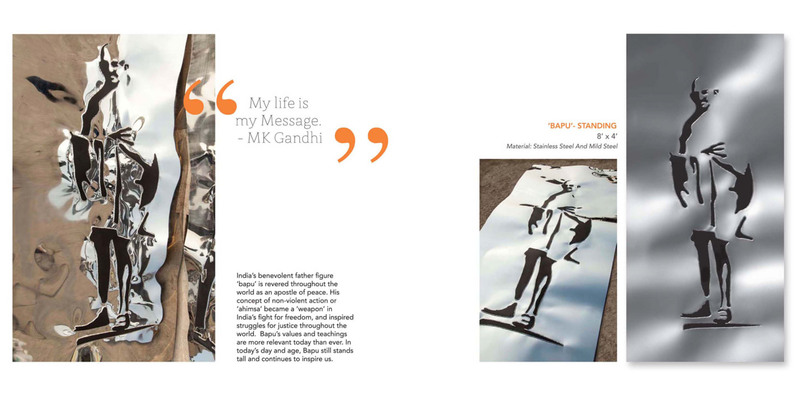 Borderless Gandhi’s founders, Nilesh and Lene Makwana, met Vibhor during one of their visits to India. Being really impressed with the exhibition, Nilesh and Lene decided to take the “Mahatma in me” exhibition outside of India for the very first time. 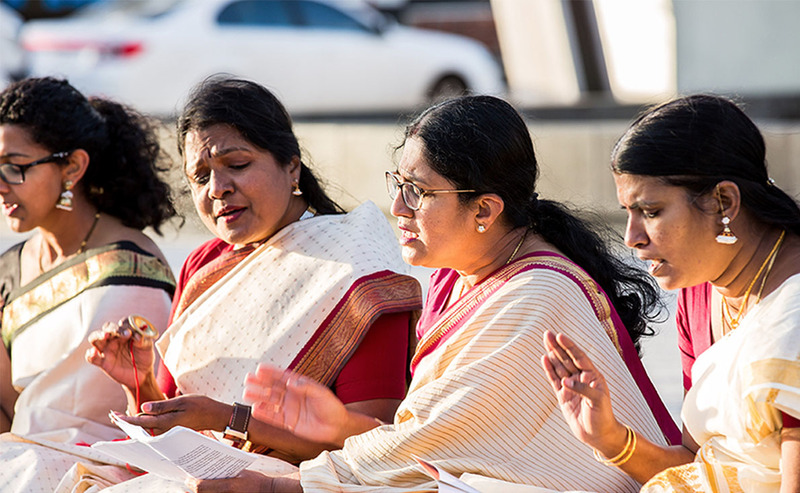 Borderless Gandhi invited several groups and organisations to participate and collaborate on additional exhibition events to promote harmony, equality and nonviolence. 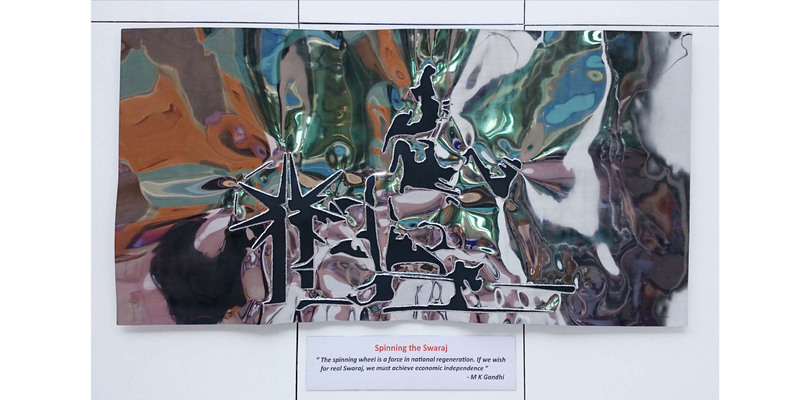 Colosoul Group Inc. participated in the first ten days of the exhibition by providing performance poets, a mandala project and artists who painted their reflections on the exhibition on site. 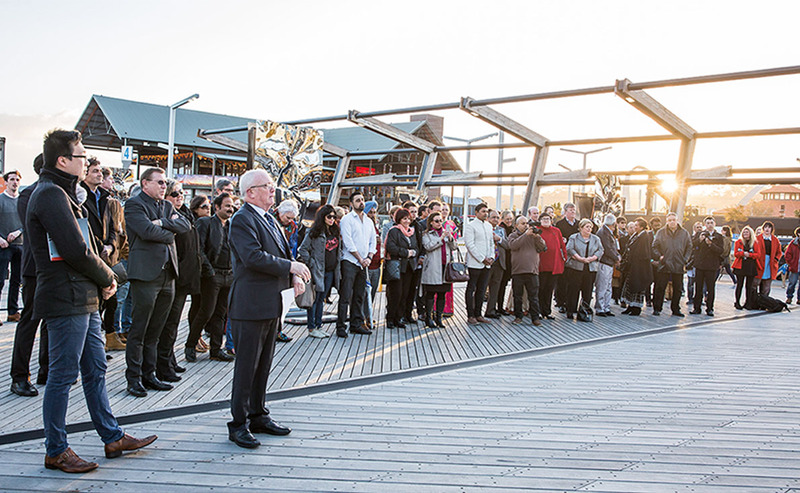 On 19th October, the Office of Multicultural Interests invited 35 leaders from different faith groups in Western Australia to gather, thus exemplifying equality, regardless of personal belief. 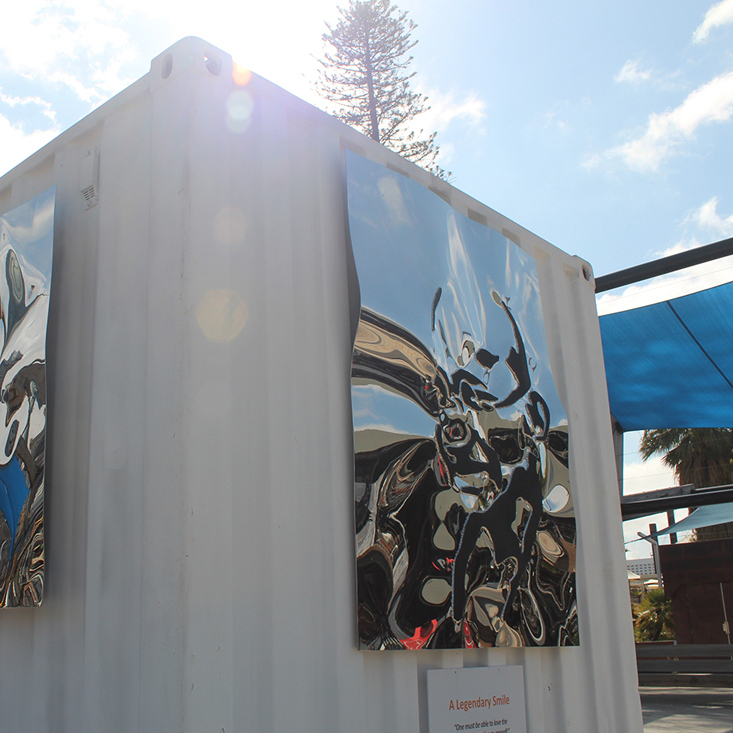 On 29th October, WA Museum conducted the WA Faces project alongside the annual global Eye Contact Experiment, brought to Borderless Gandhi by The Liberators International. Several local organisations and businesses have supported Borderless Gandhi, providing services in-kind. Novotel Hotel Langley Perth provided accommodation for the artist visiting from India; Mail Boxes Etc. printed marketing material; Prestige Partners offered accounting services; Lene Makwana provided graphic design; and Illuminance Solutions provided the team with a boardroom to conduct meetings, as well as IT services and hosting of the project's website. 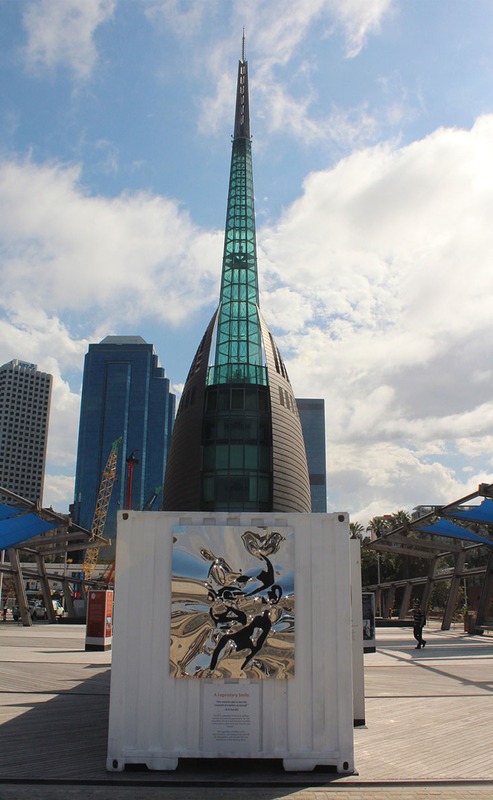 Borderless Gandhi received a Lotterywest grant in addition to sponsorships and support from the Department of Culture and the Arts, Office of Multicultural Interests, Metropolitan Redevelopment Authority, Western Australian Museum, City of Perth, and Edith Cowan University. Other supporters and service providers were Hunter Communications, Colosoul Grop Inc., FireShaper Hot Yoga East Perth, Confluence Festival of India in Australia, Student Edge, Annalakshmi and Stageworks P/L. 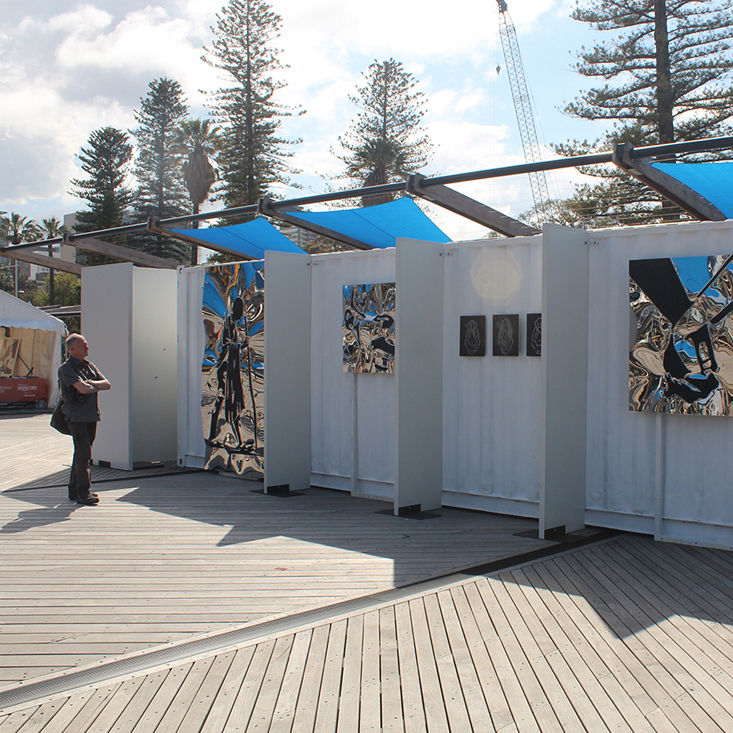 The exhibition was also a result of a collaboration between Borderless Gandhi and the Confluence Festival of India in Australia, an initiative formed to celebrate Indian culture beyond stereotypes, and supported by the Australian and Indian governments. The Government of India, Ministry of Culture and ICCR Delhi sponsorship secured the freight of the exhibition from India to Perth, and return. 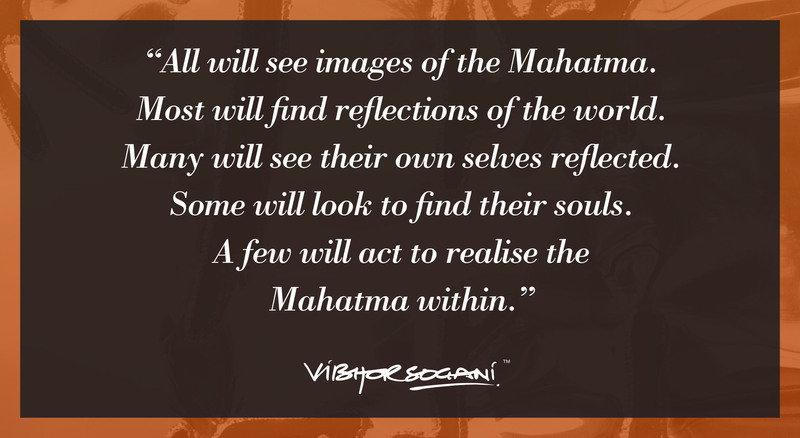 During the work to organise the “Borderless Gandhi presents Mahatma in me by Vibhor Sogani” exhibition, Mahatma Gandhi’s granddaughter, Dr Ela Gandhi, personally contacted Nilesh Makwana to encourage the organisation’s work. 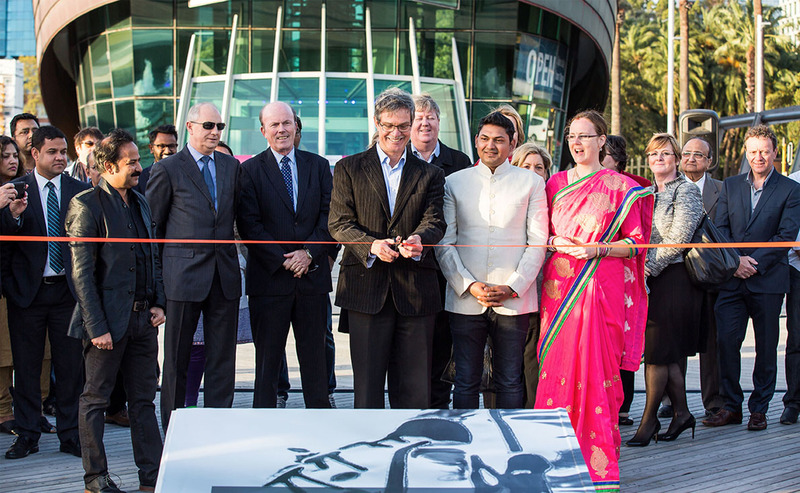 Opening Ceremony 2nd October 2016 - ribbon cut by Hon. Dr. Mike Nahan (at the time) Treasurer; Minister for Energy; Citizenship and Multicultural Interests. 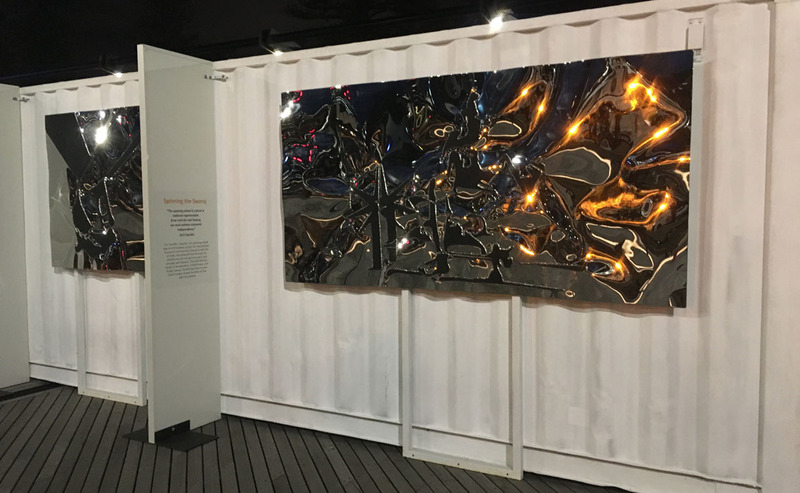 The "Borderless Gandhi presents Mahatma in me" artworks were even more spectacular at night as they reflected all the lighting at Barrack Square, Elizabeth Quay. 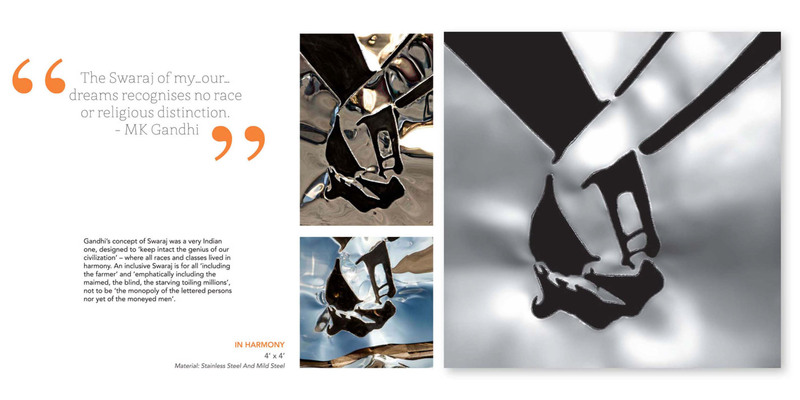 On 19th October, the Office of Multicultural Interests and Borderless Gandhi invited several faith leaders from different religions to gather around Vibhor Sogani's artwork, "In Harmony". The event, called "Unity", promoted equality and living in harmony, celebrating Perth and WA as places of peaceful co-living and collaboration. WA Faces is an online exhibition that invites its participants to share their stories about who they are, their connections to family, friends and Country, and how they came to live and work in Western Australia. Peter Sharp and The Liberators International put Perth on the map with his famous spontaneous dance on a TransPerth train. For Borderless Gandhi, The Liberators hosted the global annual event, Eye Contact Experiment. With 190 participating cities, a global message promoting the power of peace and human connection was spread and created ripples of love and connection across the planet. To help engage the youth in various activities along the exhibition, Colosoul Group Inc. organised artists to paint at the exhibition, invited the public to colour in a mandala design, an evening of slam poetry and asked the visitors of the exhibition "If you were the world, what would you change"?